TODAY: Be on the look out for wild animals this month during mating season. Also, diesel tax to rise in France. Fine-free week in Belgium, minor traffic offences to be let off with a warning. Aftermath severe floods Montpellier region, South of France. Calais Migrant Crisis: Govt wants to actually raise fines for stowaways. CHANNEL DELAYS: DFDS Dover-Dunkirk 18:00 delay 60mins. Eurotunnel freight France, busy, transit time 2h00. WEATHER ALERT: Amber alert heavy rain Spain. WEATHER: fair Central. Showers Mediterranean + North West. MAJOR TRAFFIC DELAYS: A16 westbound at Dunkirk road works delay increased to 35mins. A20 eastbound from Rotterdam, vehicle fire at Gouda delay 60mins. A1 northbound Hamburg, road works, delay still 50mins. A1 southbound to Cologne, accident at Burscheid delay 1h30. A67 northbound to Frankfurt, lane blocked, accident at Lorsch delay 50mins. A8 westbound to Karlsruhe, road works delay 55mins. A93 northbound Regensburg, earlier accident, delay still 50mins. A3 southbound from Passau, holdup at border, delay 50mins. Earlier: now no delay A5 northbound Karlsruhe, . R0 ring north Brussels anticlock, earlier accident, delay from A3 down to 10mins. A8 westbound at Stuttgart, road works, delay down to 25mins. A92 northbound from Munich, road works, delay down to 25mins. A3 eastbound Frankfurt-Wurzburg, road works Aschaffenburg delay down to 35mins. Wild animals on the loose, at dusk and dawn. On the E4 Umea-Sundsvall, Sweden. Photo @DriveEurope. Reindeer in Rovaniemi on the Finland/Sweden border will have their antlers daubed in fluorescent paint this winter after a successful trial earlier this year while ruminant colleagues over in Norway have been found to contain record levels of radioactive Caesium. However, drivers elsewhere on the Continent will need to keep an extra sharp eye out for wild animals this month. The rutting season for deer, and local migrations, mean herds will be out in force, especially near forest and field edges, and particularly at dawn and dusk. There are 3,000 serious road accidents each year in Germany involving wild animals says the ADAC. 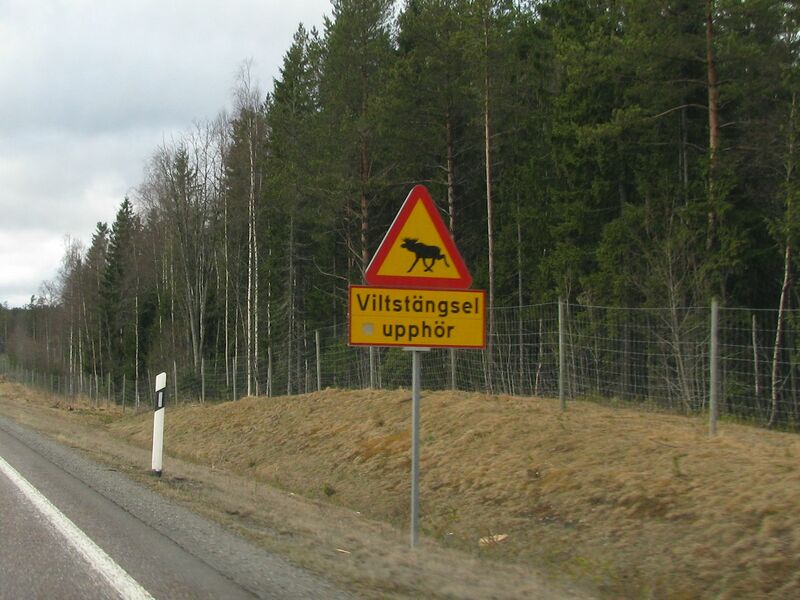 More research from Norway says most drivers ignore wild animal warning signs, and even those that do see them fail to slow down. In the event of an inevitable collision the advice is do not attempt to swerve. Road conditions are unpredictable at this time of year and drivers can easily lose control. Where animals have been injured, even if they have run away, notify police on 112. With a group of animals stood in the road, drivers should sound the horn but keep headlights dipped – full beam can make them freeze. Also, be ready for stragglers when a herd has passed by. Meanwhile, in France, mating season – la brame du cerf – is a tourist attraction. Events organised by the Office National des Forêts take place across the country, particularly Chambord and Rambouillet in the north west and Moselle in the east. See more at The Connexion. roundup: FRANCE. Diesel tax will rise by 2c per litre next year as the government makes good on its promise (after the Paris Pollution Crisis) to narrow the fiscal gap to petrol. The hike will also regain revenue lost to the radically downsized upcoming Ecotaxe truck toll system (due to start 1 January in Paris but postponed in the rest of the country). The average diesel price in September was 105.81p/l according to the AA compared to 115.92p for unleaded 95.